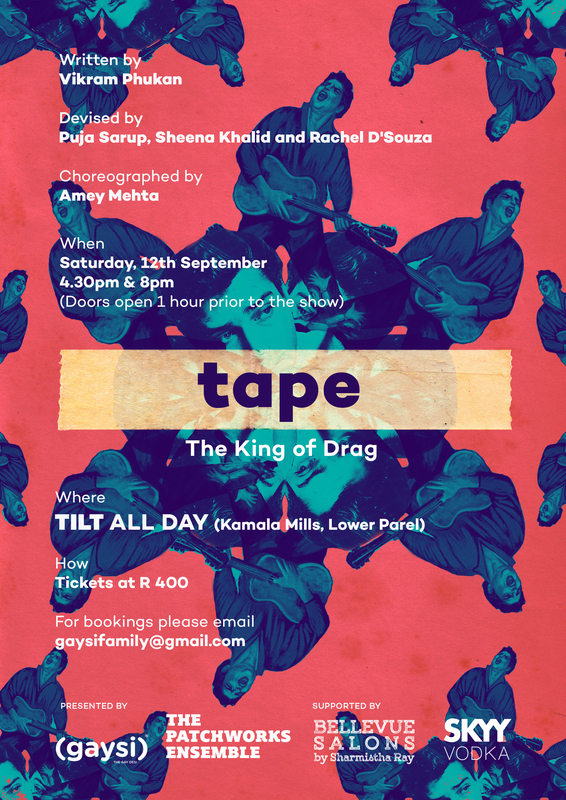 Welcome to Tape — an evening of metamorphosis where men become women and women become men and kings and queens walk among us. Is it a bird? Is it a plane? No, it’s Shammi Kapoor! Set in the leg shakin’, hip swingin’ 60s era, Tape’s protagonist will resurrect the King of Bollywood: Shammi Kapoor. This performance will not only be an ode to the man’s man, but also a sneak peak into the drag subculture which we know so very little about; a subculture that celebrates, parodies, and enjoys the gender the performer takes on. Take a look at how the alternative of the alternatives are doing. Be a part of an event dedicated to the wonder oddities in our lives that we just can’t seem to get enough of. Enjoy an evening that turns masculinity into theatre. For other payment options : email us [ gaysifamily@gmail.com ] with the following details; Name // Contact number // No. Of Passes required // Preferred Show (First or Second). First show ~ Doors open at 3:30PM. Performance Time: 4:30PM-6:30PM. Second Show ~ Doors open at 7:00PM. Performance Time: 8:00PM-10:00PM. – You must be 21 & above to attend. Please bring IDs and drink permits.